Marie Demetriou QC has a broad practice specialising in competition law, EU law, public law and human rights. She is highly ranked in all of these areas by the legal directories and is regularly nominated for legal awards. In 2018, Marie was shortlisted as the Lawyer’s Barrister of the Year and in 2016,Marie was awarded EU and Competition Law Silk of the Year by Legal 500, which in addition nominated her as Public Law Silk of the Year. Marie was also one of three nominees for Chambers & Partners Competition Law Silk of the Year. 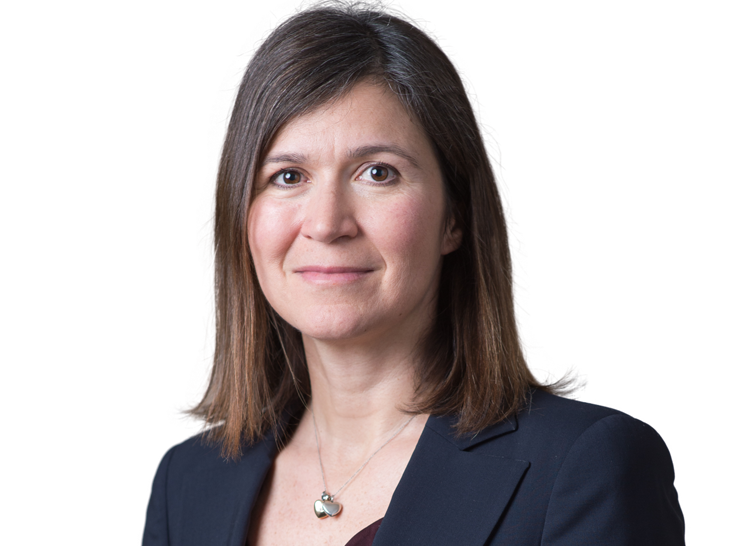 In 2015, Marie was appointed Standing Counsel to the Competition and Markets Authority, a position she continues to hold, representing the CMA in its major litigation in the courts.Marie has been Chair of the Bar European Group between 2016-2018. Successfully acting for Monarch Airlines in the Court of Appeal in relation to the allocation of valuable landing slots after Monarch was placed into administration (R(Monarch Airlines Limited) v Airport Coordination Limited  EWCA Civ 1892). Acting for the CMA in Ping v CMA (judgment pending) on the lawfulness of bans on internet sales. Representing Apple in its competition law/ FRAND claim against Qualcomm arising out of the licensing by Qualcomm of its chips used for Apple devices. Acting for the Federal Deposit Insurance Corporation in a large LIBOR damages claim against several banks. Successfully challenging the Government’s nationwide policy to deport EU nationals found sleeping rough (Gureckis and others v Secretary of State for the Home Department  EWHC 3298 (Admin). Representing Mr Micula in the High Court and Court of Appeal in his application to enforce his ICSID arbitration award in circumstances where the European Commission has determined that enforcement would amount to state aid (Micula v Romania). Acting for the UK in Gibraltar’s first (and probably last) reference to the CJEU (Case C-267/16 Buhagiar v Ministry of Justice). Marie has been Standing Counsel to the Competition and Markets Authority since 2015. She is instructed in many of the leading competition cases, both in the CAT and in the High Court. As well as acting for the CMA in its litigation (including the ‘pay for delay’ appeals, Eurotunnel/SeaFrance in the Supreme Court and Ping v CMA), she has acted in a large number of competition damages claims (including those arising from the decisions in Trucks, FX, Gas Insulated Switchgear, Power Cables, Ball Bearings, Cathode Ray Tubes, Mobile Phone Batteries) as well as in stand-alone competition actions and FRAND claims (Marie is currently acting for Apple in its claim against Qualcomm). In 2016, Marie was awarded Competition Law Silk of the Year by Legal 500. In 2017 Marie delivered the annual David Vaughan QC lecture on antitrust litigation. Société Coopérative de Production SeaFrance v CMA  UKSC 75, successfully represented CMA in appeal against meger decision. Ping v Competition and Markets Authority, CAT, lawfulness of internet sales ban. Represented CMA. GlaxoSmithKline v CMA (“pay for delay”)  CAT 4, reference before CJEU pending. Represented CMA. Apple v Qualcomm (Article 102 / FRAND claim in relation to licensing by Qualcomm of its chipsets used in Apple devices; judgment on jurisdiction  EWHC 1188 (Pat). Representing Apple, instructed by Boies Schiller LLP. Iiyama v Samsung and others  EWCA Civ 220. Acted for Philips, instructed by Slaughter and May. Merricks v Mastercard, appeal pending. Acting for UK consumers in collective action; instructed by Quinn Emanuel. Sky/ Fox; acted for CMA in investigation into public interest in permitting Sky Fox merger. Federal Deposit Insurance Corporation v Barclays Bank Plc (large competition damages claim arising out of LIBOR manipulation; acting for claimant, instructed by Quinn Emanuel. Veolia and others v Fiat Chrysler and others (acting for claimants in relation to Trucks cartel, instructed by Hausfeld). National Grid and Scottish Power v ABB and others; acting for NKT, instructed by Addleshaw Goddard in large cartel damages claims arising from the Power Cables Cartel. Vattenfall v ABB and others; acting for NKT, instructed by Addleshaw Goddard; further claim arising from Power Cables Cartel. International Exchange Inc v Competition and Markets Authority  CAT 6; successfully represented CMA in ICE’s appeal against CMA decision requiring unwinding of merger. Microsoft v Sony, Samsung and LG Chem  EWHC 374 (Ch); acted for LG Chem, instructed by Steptoe and Johnson; successfully challenged the jurisdiction of the English court to determine this large cartel damages claim. CMA market investigation into retail banking; acted for CMA. CMA market investigation into energy; acted for CMA. Deutsche Bahn v Morgan Crucible  UKSC 24; (successfully persuaded Supreme Court to strike out claim against Morgan crucible on the ground it was time barred; instructed by Clifford Chance). OFT's Market Enquiry into distribution of pharmaceuticals. Represented the British Association of Pharmaceutical Wholesalers. R (Monarch Airlines) v Airport Coordinator  EWCA Civ 1892. Micula v Government of Romania  EWHC 31, judgment of CA pending. Acting for Claimant, instructed by White and Case in enforcement of ICSID Award in circumstances where Commission has determined payment would constitute state aid. R (Gureckis and others) v Secretary of State for the Home Department  EWHC 3298 (Admin). Acted for claimants, instructed by Lambeth Law Centre, in successful challenge to Government policy of deporting EEA nationals found sleeping rough. Case C-267/16 Buhagiar v Ministry of Justice (CJEU; reference from Gibraltar courts re scope of application of the Treaty to Gibraltar). Case T-718/15 PTC Therapeutics v European Medicines Agency; acting for claimant, instructed by Covington and Burling, confidentiality of pharmaceutical information). Case T-733/17 GMP Orphan SA v European Commission (challenge to failure to confer orphan drug designation). Case T-433/15 Bank Saderat v Council and Commission, damages claim on behalf of claimant bank seeking damages for unlawful sanctions imposed by Council, instructed by Stephenson Harwood. Case C-547/14 Philip Morris v Secretary of State for Health, CJEU judgment of 4 May 2016; acted for Philip Morris, instructed by Skadden Arps in challenge to 2nd Tobacco Products Directive. R (British American Tobacco) v Secretary of State for Health  EWHC 1169 (Admin); acted for Philip Morris, instructed by Skadden Arps in challenge to UK plain packaging regulations. ZAT v Secretary of State for Home Department  EWCA Civ 810; acted for UNHCR in appeal concerning rights of unaccompanied child asylum seekers. MSM (Somalia) v Secretary of State for Home Department  EWCA Civ 715; acted for UNHCR in appeal concerning interpretation of Qualification Directive. Mirga v Secretary of State for Work and Pensions  UKSC 1; acted for AIRE Centre in Supreme Court appeal concerning rights to social security of migrant workers. R (W,X,Y and Z) v Secretary of State for Health  EWCA Civ 1034; acted for Secretary of State for Health in successfully resisting challenging to NHS data sharing arrangements. EM(Eritrea) v Secretary of State for Home Department  UKSC 12; acted for UNHCR in Supreme Court Appeal relating to Dublin Regulation. Marie is recommended in the principal directories as a leading advocate in public law and human rights. Prior to taking Silk she was a member of the Attorney General’s ‘A’ Panel of Counsel. She acts for both claimant, defendants and NGOs in public claw and human rights cases before the English Courts, the EU Courts and the European Court of Human Rights. Recent highlights include successfully representing Monarch Airlines in the Court of Appeal in relation to its right to landing slots, and successfully challenging the Government’s policy of deporting EEA nationals found sleeping rough. R (Monarch Airlines Limited) v Airport Coordination Limited  EWCA Civ 1892 (successfully challenged ACL’s decision denying Monarch its valuable landing slots on the ground that it had been placed into administration). R (State of Guernsey) v Secretary of State for Environment  EWHC 1847 (Admin); acted for States of Guernsey in dispute with UK Government in relation to fishing rights. Mirga and Samin v Secretary of State for Work and Pensions  UKSC 1; acted for Aire Centre intervening in Supreme Court appeal relating to social security rights of EU migrants. R (Napp Pharmaceuticals) v Secretary of State for Health  EWHC 1982 (Admin); acted for claimant in challenge to decision of MHRA. R (Barda) v Mayor of London  EWHC 3584 (Admin); acted for claimant in challenge to Mayor’s decision to ban protests outside Parliament. EM (Eritrea) v Secretary of State for Home Department  UKSC 12; acted for UNHCR in Supreme Court Appeal relating to Dublin Regulation. AD v Home Office  EWHC 663 (QB); acted for refugee in damages claim against Home Office. R (Cushnie) v Secretary of State for Health  EWHC 3626 (Admin); represented Secretary of State in challenge to NHS (overseas) regulations. Obrey v Secretary of State for Work and Pensions  EWCA Civ 1584; acted for Secretary of State in appeal raising approach at appeal stage to proportionality assessments made by specialist tribunals. References to the European Court (2nd ed, Sweet & Maxwell), Co-author with David Anderson QC. Member of the Editorial Boards of World Competition (Kluwer) and International Sports Law Review (Sweet and Maxwell).